Your casino complaint at Askgamblers did not lead to success? Please use Support ticket to submit your claim and we will try to enforce it through legal action. 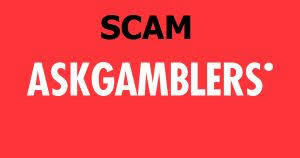 Askgamblers offers a complaint service where casinos can explain why they do not process account balances. Players can of course try such a complaint service that can lead to get account balances processed. But it is very important to inform the gambling community that if the ask gamblers complaints service did not lead to success, you still have the option to enforce your account balance through legal action. Cost free complaint service that can lead to get disputes solved and account balances processed. Accused casinos ignore to answer or make nonsense statements to cover up their unfair treatment. The personnel do not have the qualification to legally assess claims and make wrong assessments. Our impression is that they do not want to inform victims that they still can enforce claims through legal action after their complaints service failed! Game Protect sent the following email and did not receive a response! Reference: How can I contact claimants if your complaint service was not successful? If your complaint service will not lead to success, the claimants have the option to enforce their account balance through legal action. Game Protect is expert for Curacao based claims. How can I inform the claimants that they have the option to enforce their account balances through legal action after your complaint service did not lead to success? What is your experience with Askgamblers? Askgamblers seems sketchy. I contacted them over an issue with Grand Eagle casino. I posted a few complaints which they would not allow. My complaint is currently unresolved. Unfortunately, rules are rules and you accepted/acknowledge them when you made an account or claim a bonus at the casino. Only who can challenge the casino terms is a regulatory body of the casino, we encourage to seek further help with them. My complaint (besides following their rules) was also including the fact that they breach their own terms and conditions by stating they don’t allow US residents to register and deposit but in fact, they do. And maybe a website issue and maybe not but through their message system, I did receive a message from “Genesys Affialites” stating they wanted more information so they can look into the issue further. When I viewed their profile on askgamblers it seemed to not be authentic so I contacted askgamblers support and they stated it was a genuine user from Genysys (representing Grand Eagle). However, today, I can log into AskGamblers but when I try to view the private message, it’s gone and I am blocked from the site. Either way, seems this service is not very helpful but very protective of this particular casino.